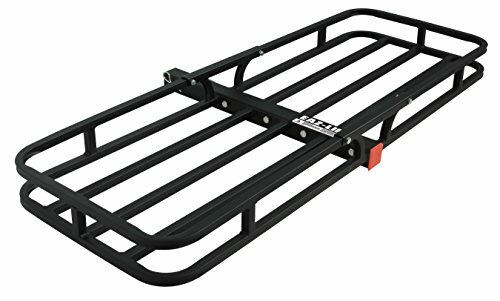 The Camco Hitch Mounted Cargo Carrier is an easy way to add extra storage space when traveling. The Cargo Carrier is compatible with any 2-inch hitch receiver and easily attaches and detaches with included hitch pin. The heavy duty steel basket has a 500 lb. weight capacity and a powder coated finish. Measures 51-1/2 inch x 17-1/2 inch x 3-1/4 inch.